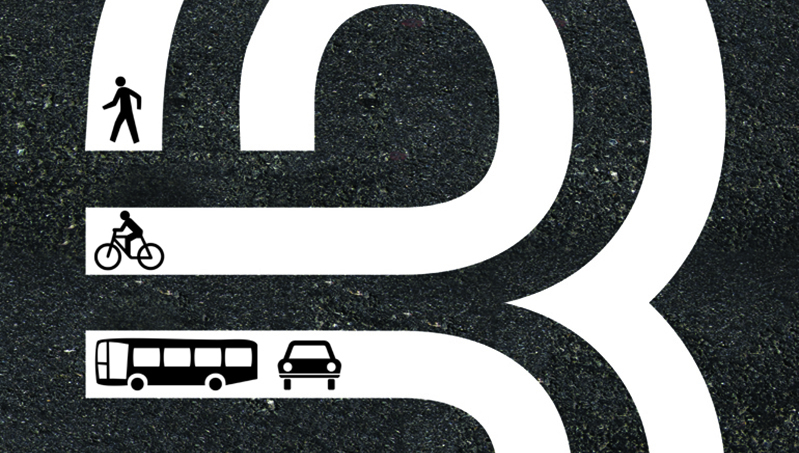 Ron Gabriel’s (MFAD ’11) “3-Way Street” campaign and thesis video (which received over 3 million views) has been incorporated into the following driver/rider/pedestrian educational programs. The National Institute of Driver Behavior offers recommendations to Driver’s Education courses in high schools nationwide, and uses his video in their educational curriculum for what they call the “Danger Square”: intersections where drivers, pedestrians and bicyclists come together. The Center for Cycling Education uses his video as part of their on-line cycling curriculum. Austin-area cyclists who have received a traffic ticket while riding their bike can have their fine dismissed and keep the ticket off their record by completing the course. 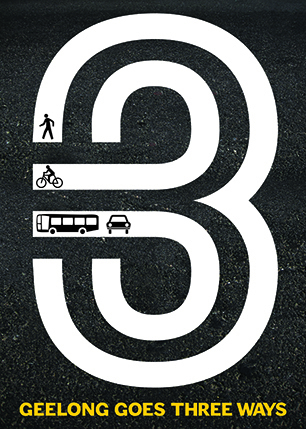 For Australia’s Bike Safe Geelong (above) Gabriel gave rights to for use of the 3-Way Street campaign, but he had to add a bus to the original logo – they wanted the motorist component to include public transportation.